After the invasion of Iraq in 2003, the state media of the country collapsed all together. A Communications and Media Commission was established to review and give licenses for all the media in the country during June, 2004. 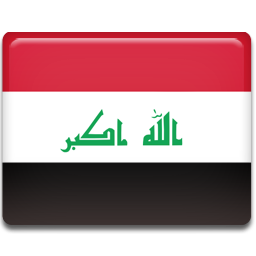 Iraq was the main headquarters to forty nine free to air satellite channel by 2011 which is one of the highest number in the region. The live TV online service is showing up in the country. Satellite dishes were banned until 2003 and there were restricted number national terrestrial stations in Iraq. The sales of satellite dishes increased rapidly after 2003 and free to air channels were seen dominating the market. There are sixteen terrestrial channels operating in the country, of which 3 are owned by the US funded state broadcaster Iraqi Media Network. Al Jazeera was given the rights to re-establish operations in the country in March, 2011 after being banned in 2004. Towards the end of 2014, there are plans to establish a media free zone in Baghdad, the Baghdad Media City. The Palestinian national anthem is the national anthem of the Palestinian National Authority as well. It was adopted in 1996 by the Palestinian Liberation Organization in 1996 according to the Article 31 of the Palestinian Declaration of Indepence from 1988. Aletejah TV is an Iraqi channel supported by the Hezbollah Brigades. It has English and Arabic version known as “Aletejah TV English” which is being broadcasted on multiple European satellites like Hot Bird. Ashur TV is an Assyrian based satellite television channel that is currently affiliated with the Assyrian Democratic Movement political party.